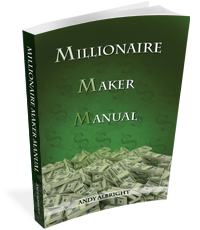 Millionaire Maker Manual was written for people to be successful with National Agents Alliance and people are already singing the praises of Andy Albright's second book. It's filled with more than 300 pages of training tips and tricks that Albright has learned over the years and applies to his business. Albright felt like he needed to write this book to help people learn and master the skills that have taken Albright to where he is today. Albright looked internally and realized that getting "back to the basics" was something that he needed to do to impact thousands and thousands of people. He realized that he never should have strayed from those basics and decided that NAA would spend more time focusing on getting back to those principles. The 8 Steps To Success provides the tools to overcome the fear of business and develop the simple but not always easy steps to reach unbelievable heights. 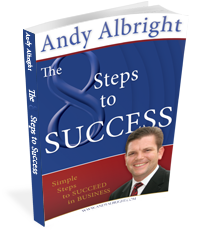 Andy Albright attributes his success over the past twenty years to finding, identifying, and keeping great people, staying on a steady course, determination, and the Eight Steps. 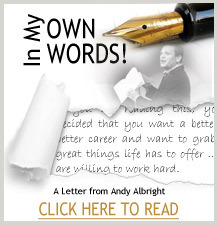 AndyAlbright.com provides the tools to overcome the fear of business and develop the simple but not always easy steps to reach unbelievable heights. Andy attributes his success over the past twenty years to finding, identifying, and keeping great people, staying on a steady course, determination, and the Eight Steps.